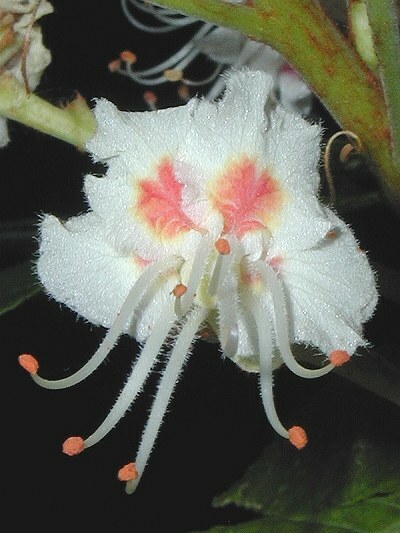 Description: The horse chestnut reaches a height of up to 80 feet and has a thick, dark-brown trunk. Horse chestnut leaves are finger-shaped and can be up to 8 inches long. The Bach essence White Chestnut uses the blossoms that grow in a candle formation and are predominantly creme-white with pink, yellow or red centers. It is in bloom from the end of May to the beginning of June. Some thoughts are buzzing around oneÂ´s head, one cannot get them out of oneÂ´s head, inner monologues and dialogues.